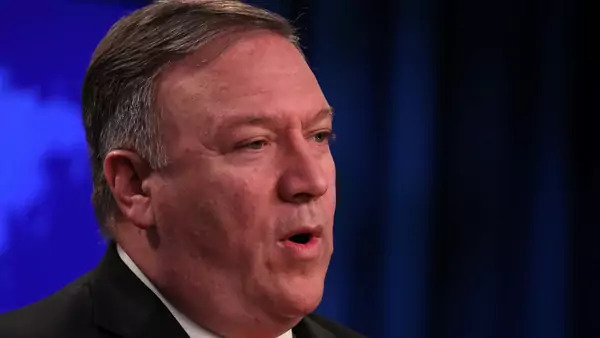 Earlier this week Secretary of State Mike Pompeo announced that India, along with seven other countries, would receive an exemption from the newly-imposed U.S. sanctions on oil imports from Iran. This was a significant announcement. India is the second-largest importer of oil from Iran after China, and due to the volume of oil trade from Iran to India, it was always going to be hard to meet the Donald J. Trump administration’s demand that countries “go to zero” imports by November 4. The exemption recognizes this challenge, and acknowledges that India had already made “significant reductions” in its imports from Iran. The significant reductions exemption was good news from the perspective of U.S.-India economic ties, at least for now. The exemption isn’t permanent, of course, and just postpones for another six months the possibility of a confrontation over what the Indian government sees as unilateral sanctions (longstanding Indian policy recognizes only UN sanctions). This exercise will come around again in 180 days for a reevaluation, so the issue—and potential for bilateral tension—will linger. Given that the Trump administration’s South Asia strategy formally calls upon India to scale up its economic assistance and development activities in Afghanistan, the sanctions exemption for Chabahar will keep this channel alive, although as C. Christine Fair has noted, the overall economic viability of Chabahar depends on a transport market to use this port. The exemption provides for strategic alignment between the Trump administration’s South Asia strategy and its Iran policy, and puts to rest what had been a hovering uncertainty about how the administration would approach the port. That’s the good news. In the not-so-great news, the trade dialogue with India appears to be hitting rougher waters. Washington and New Delhi have long had a laundry list of trade and economic frictions that have persisted over the years and are not easy to resolve. The Trump administration has added to that laundry list with new creations: tariffs on steel and aluminum leading to the prospect of Indian retailiatory tariffs, held in abeyance for now; a focus on trade deficit reduction; ending a series of trade preferences under the Generalized System of Preferences (GSP); and a bizarre presidential fixation on Indian tariffs on Harley Davidsons. These new frictions build upon an ongoing set of trade and economic challenges with India that any current or former U.S. government official would recognize well. As it turns out, these challenges have remained impervious to recent efforts to find solutions, and as a result, the U.S. trade representative (USTR), Robert Lighthizer, will not be traveling to India as earlier anticipated for the Trade Policy Forum (TPF), the standing dialogue between the USTR and his Indian counterpart. (The State Department had earlier issued a “Free and Open Indo-Pacific” calendar of meetings that slotted the TPF for October 31.) Press accounts at best put the possibility of a TPF convening in December or even January, due to the lack of progress in advancing issues prior to this dialogue. It’s worth remembering that, at the conclusion of last year’s TPF, Lighthizer decided to issue a statement commenting on “differing views that could not be resolved immediately” rather than sign onto a more typical joint statement, however anodyne. Previous administrations struggled to overcome big trade hurdles with India on a mind-numbing array of subjects—just look at the last U.S.-India joint statement from the final TPF convened with the Barack Obama administration. But at least the trade principals met regularly, and kept meeting. Economic issues with India are tough and won’t get any easier by postponing dialogue.